An Ex IT Professional, a Certified Astrologer from AIFAS New Delhi. At present a Vedic Astrologer and Alastro Numerologist. Alok Upadhyaya belongs to a GURU and Astrologers family. He completed his schooling from JCIC Allahabad. He is BSc(Maths) from Allahabad University, MCA from G.K. University Hardwar and worked with L&T Mumbai. During pursuing BSc he visited a very renowned Numerologist whose Numerology was based on Arabic System. He was amazed with the Science as previously he was only aware with some traditional Numerology. 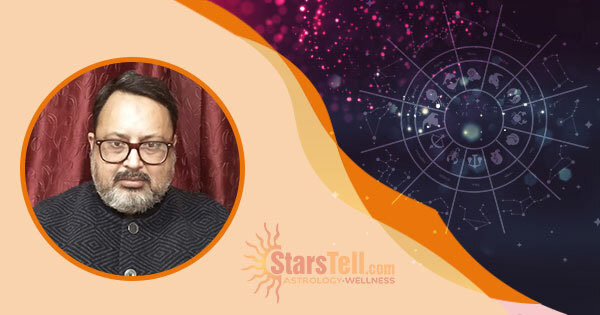 Meanwhile when he started studying MCA in 1995 at Hardwar, he also started studying Vedic Astrology under guidance of some renowned Astrologers and in 1998 they insisted him to start independently analyzing horoscope, since then by the blessings of mentors to whom he visited and ancestors, he is devoted to this field. He has been working on every domain of life like career, finance, health, love, marriage, dispute, child birth issue, travel etc. and remedial measure. He did a research in Numerology by a combination of Arabic, Western and Vedic method and given it name Alastro Numerology.